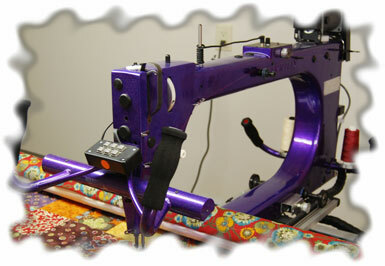 Serving Quilters Across The USA! 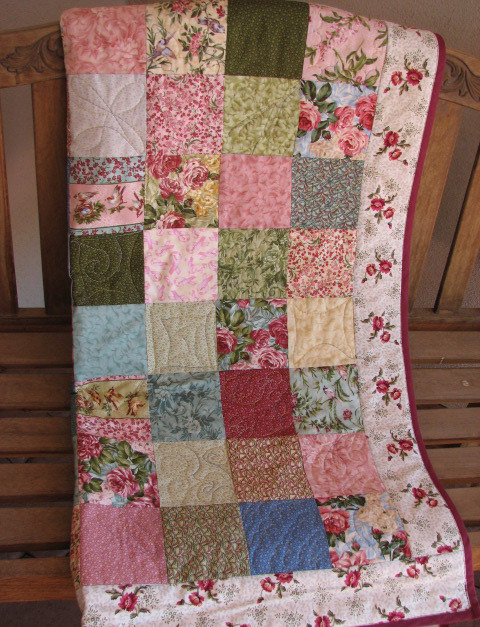 Many quilt lovers are too busy to finish their quilts. It can often take weeks or months. 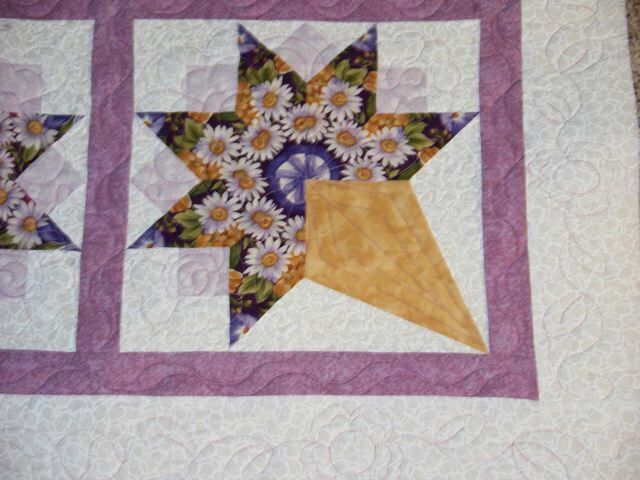 We work with beginners or experts with quilts at any stage of development to turn quilt tops into finished quilts! Whether you are interested in traditional patterns, nature, geometric designs or popular pantograph patterns, we have designs to suit your taste and budget. We feature over a thousand designs to choose from in our web studio library. Awesome Artisan Quilts uses laser precision sewing technology and can finish your quilt in a few hours - rather than the weeks or months it takes by hand. We use the best sewing technology available. The Gammill Statler Stitcher is tremendous - making precise accurate stitches on blocks, borders and overall designs known as pantographs. 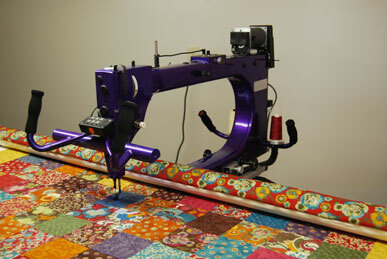 The "Statler Stitcher" combines a Gammill Optimum sewing head and a 14 foot work surface. 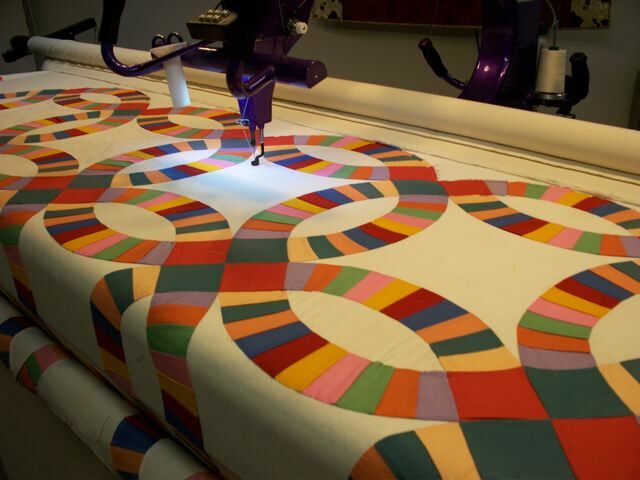 A cutting-edge software system called Precision Stitch guides the quilting machine stitching any possible design. The computer and software can determine the pattern size, the size of the block, stitches per inch, the number of repetitions of the pattern and the offset of the pattern. In addition to being guided by the computer and software, the machine can be guided by hand in either the conventional or stitch regulated modes. "The use of computer precision stitching will give your quilt an extraordinary show quality. The results produce a beautiful blend of modern technology and classic design!" 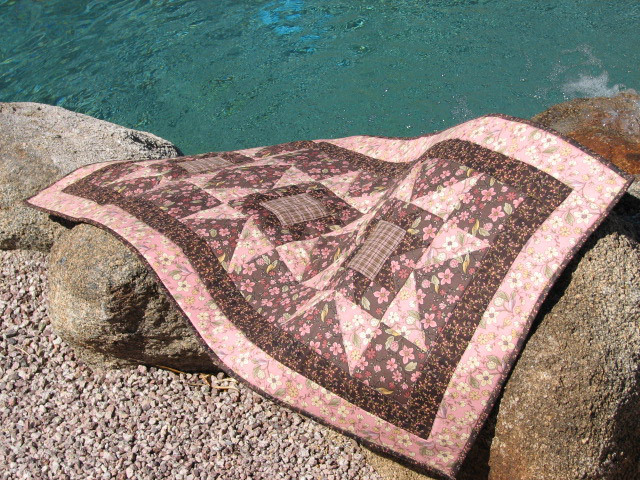 Imagine your quilt with perfect feathers or repeating leaves! 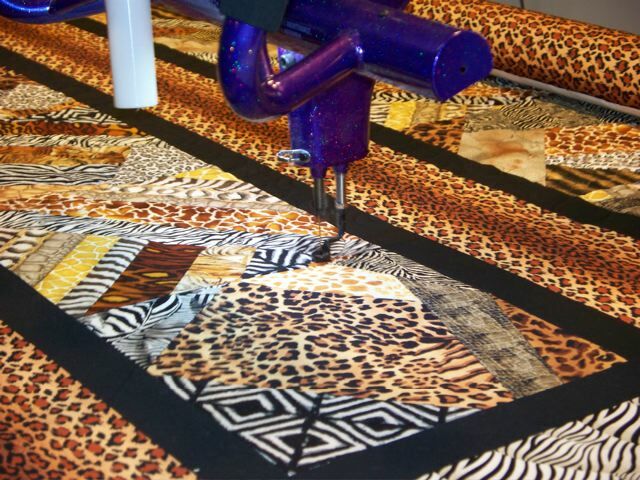 Our quilting system can stitch traditional patterns, nature, geometric designs, popular pantograph patterns or any of a thousand designs to suit your needs! 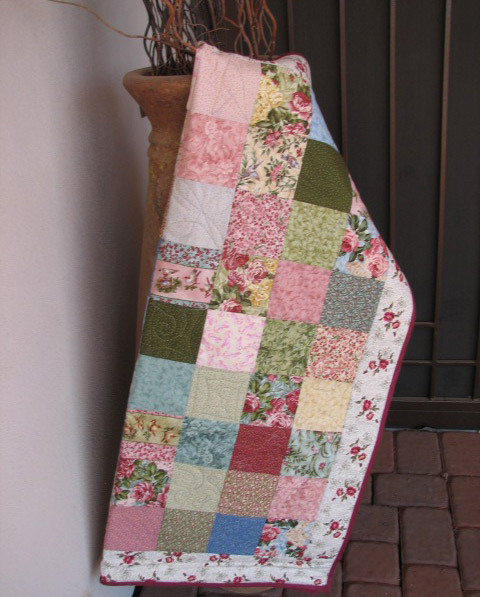 There are many ways to personalize your quilt. 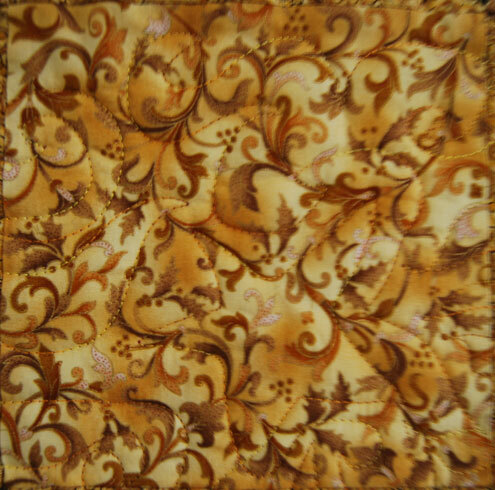 We can provide you with edge-to-edge patterns, meandering, and/or custom quilting. Together we will design a quilt that will be a long lasting treasure! 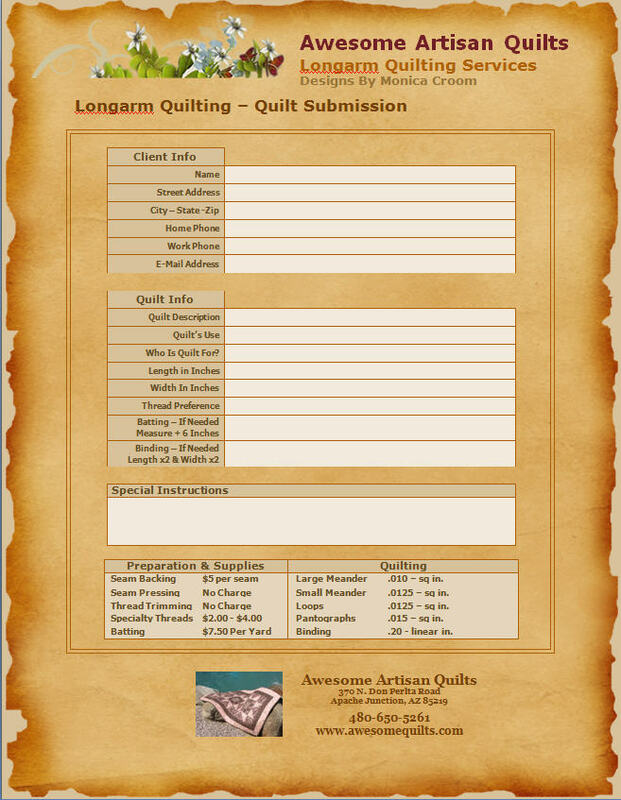 Feel free to contact us to talk about your quilting needs or submit your order today!